The majority of processors use inclined belts to elevate product when necessary. 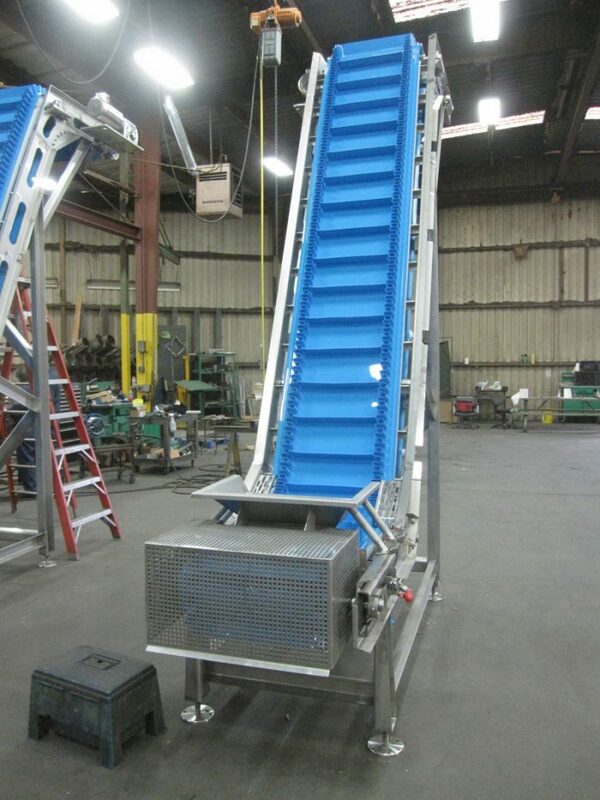 This solution offers a good combination of cleaning access, worker safety, and efficiency. However, when constrained for floor space bucket elevators can be a viable alternative, and Commercial Manufacturing builds large high capacity bucket elevators in all stainless steel construction.